Where? Aoraki/Mount Cook, Lake Pukaki, Lake Tekapo. What? Three days of star-related activities and presentations. 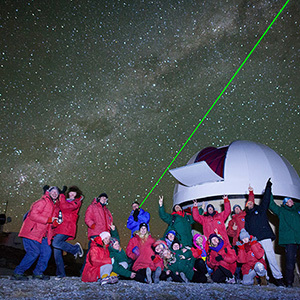 Suitable for families, students, tourists and anyone interested in learning about the stars. There will be lectures, a concert, documentaries, photo exhibition, essay and poetry competition, and more. Why? The Aoraki Mackenzie Dark Sky Reserve is a 4,300 sq km protected area renowned for the almost total lack of light pollution. This festival will highlight the benefits of protecting the night sky for all to enjoy and foster an appreciation for outer space. Visit the official website for further news and a full programme. Want some stargazing suggestions? 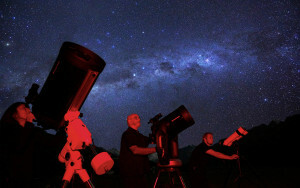 Check out five Mackenzie operators providing awesome stargazing experiences! The ultimate in stellar relaxation, Tekapo Star Gazing combines the stunning Aoraki Mackenzie International Dark Sky Reserve with the soul-warming hot pools of Tekapo Springs. 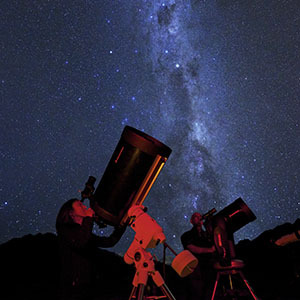 A two-hour experience, including an introduction to the night sky complemented by three high-powered telescopes and a focus on mythology and legend. 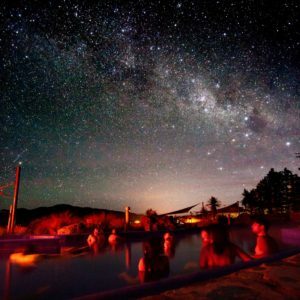 The second half of the tour is where it really gets magical – in a 38-degree hot pool, let the real world melt away as you lie back with the help of a floating hammock to ensure ultimate relaxation and easy sky viewing. 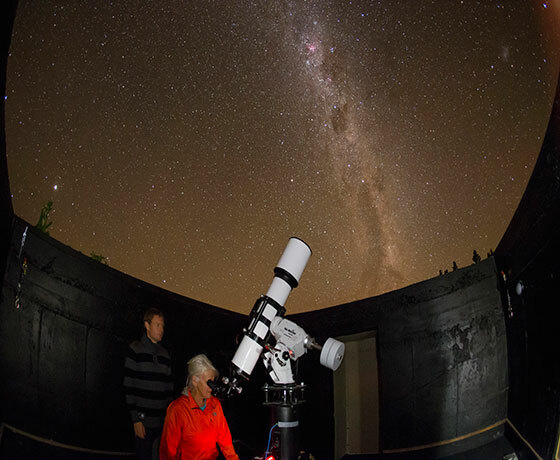 Explore the universe from the Mount John Observatory or Cowan’s Observatory. View planets, stars and distant solar systems with Earth and Sky who run several day and night sky tours. 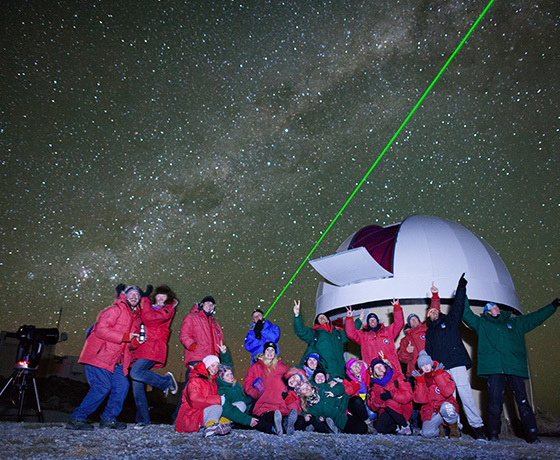 Their experienced guides impart their astronomy knowledge and share their enthusiasm for the universe and the science. A tour can include viewing the milky way, distant star clusters, planets or the craters of the moon. Come along with Lakeland Explorer and be amazed by the breathtaking glory of Mackenzie’s night sky where the stars don’t just shine, they blaze! 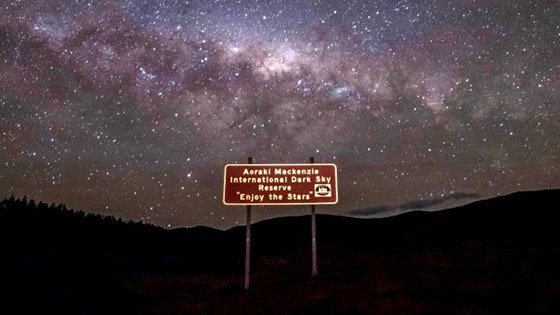 The Southern night sky of Aoraki Mackenzie has been rightly designated an International Dark Sky Reserve. It is truly magnificent. Our 2 hour night sky tour shares national stories & Maori legends while learning about Southern stars and constellations. Enjoy the sound of silence under the stars and wonder at all you see from planet Earth. You can explore the southern sky every clear evening during a Big Sky Stargazing tour from the Hillary Deck with their expert astronomy guides. Telescopes ensure a close look at stars, planets, moon craters and distant galaxies. This is also the home to a full-dome planetarium including a 3D theatre and 126 seats. This gives you a way to see a virtual tour of the southern night sky. At Lake Pukaki’s Mt Cook Lakeside Retreat guests can have the opportunity to explore the universe using the latest technology for stargazing and astro-photography. Their exclusive observatory gives guests the ability to explore the inspiring southern night sky while enjoying refreshments and nibbles from their wine cellar. With so many activities, presentations and experiences available, there’s sure to be something for all ages at the Aoraki Mackenzie Starlight Festival. Shine on!